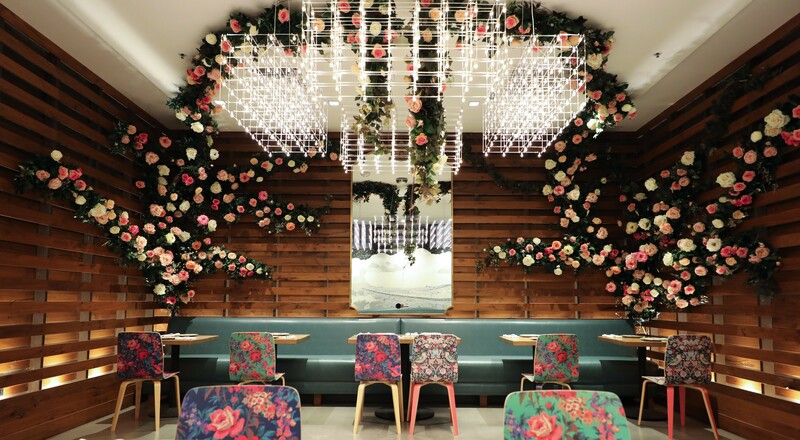 Floral accents dominate the spacious restaurant. From the owners of Daughter Thai Kitchen in Montclair comes a new Thai restaurant on the Jack London waterfront. Farmhouse Kitchen Thai Cuisine (366 Water St., Oakland) opened last week. Similar to Daughter Thai, the new restaurant, which is located between Forge Pizza and the new Belcampo, boasts an atmosphere that is homey, lush, fun, and family-friendly. Flowers abound, and the decor is flecked with gold accents and white marble. Saengsawang co-owns the restaurants with his wife, Ling Chatterjee. The Thai restaurant is a welcomed addition to the neighborhood, where there is currently no other place for Thai food. The couple’s first restaurant, Farmhouse Kitchen in San Francisco, opened four years ago, and another one opened in Portland. Daughter Thai in the Montclair Village opened in 2016 and has quickly become a popular local spot. While Daughter Thai specializes in southern Thai cuisine, Farmhouse focuses on dishes from the northern part of the country. The Farmhouse team is still tinkering with the Oakland menu, but for now, there is some overlap between the two restaurants. Daughter Thai Kitchen's popular Hat Yai fried chicken is currently on the Farmhouse menu. The chef hopes to introduce people to different types of Thai food beyond pad Thai and pad see ew (although those staples are also on the menu), including braised meat curry dishes, wild salmon cooked in banana leaves, and a very spicy papaya salad. The restaurant strives to use quality ingredients, including locally sourced meat from places like Mary’s Organic Chicken. The restaurant has a full bar with Asian-inspired cocktails as well as dog-friendly outdoor seating. 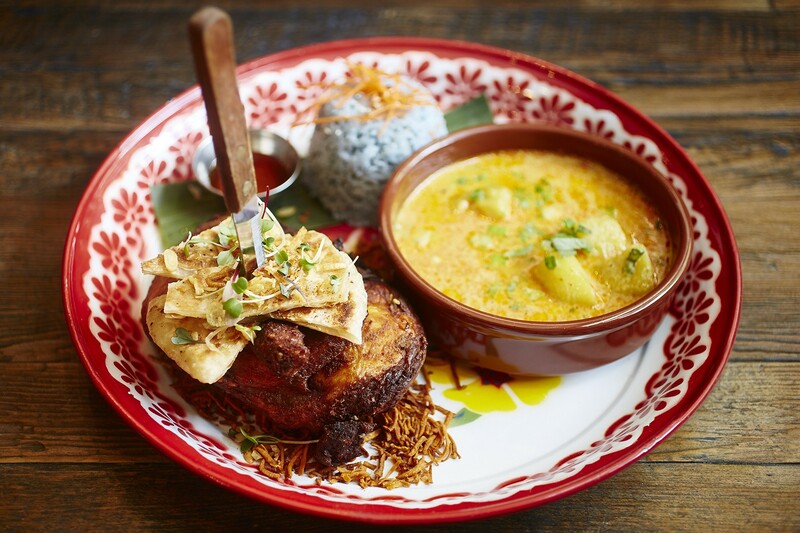 Like Daughter Thai, Farmhouse brings a playful spirit to dining, including spicy food eating. Birthday celebrations are not for the shy, as they sing a “crazy birthday song” and put the spotlight on the honoree. “I wanted it to feel like people are coming into their friend’s house,” Saengsawang said.